If you're looking for some quick energy before a workout or a pick-me-up in the late afternoon hours, both a cup of coffee and a caffeine pill can do the trick. Caffeine stimulates the central nervous system and so speeds up mental and physical processes. 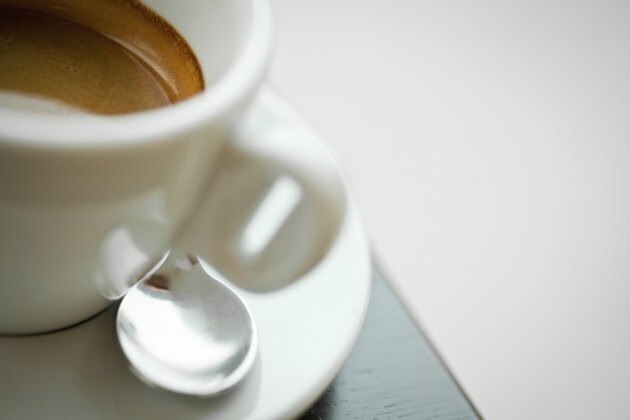 Depending on your preferences, either a caffeine pill or a cup of coffee may suit you better. Up to 90 percent of the world's population consumes caffeine, making it one of the most popular drugs in existence. It occurs naturally in various plants such as tea leaves, cocoa beans and coffee beans. Coffee's effects on the human body are usually strongest about an hour after consumption and can last up to six hours. In addition to boosting alertness and supplying energy, caffeine increases the neurotransmitter dopamine, which may make it slightly addictive. Caffeine is also a diuretic -- a substance that causes the body to expel water through urination -- which means it can lead to dehydration. Side-effects from caffeine include insomnia, headaches and anxiousness. The amount of caffeine in a caffeine pill is very easy to define, as the manufacturer always lists it on the label. For example, a common dosage for caffeine pills is 200 milligrams. Caffeine doses in a cup of coffee, on the other hand, can vary greatly depending on the type of coffee and the serving size used. Brown University notes that one 8-ounce cup of brewed coffee contains an average of 85 milligrams of coffee, with a range of 65 to 120 milligrams. Many people enjoy the taste of coffee, and they prefer a beverage they can enjoy over a period of time rather than simply popping a pill. In addition, coffee may have some impressive health benefits. According to Harvard Medical School, coffee may have anti-cancer properties and decrease the risk of diabetes and Parkinson's disease in men. For those who want to monitor their caffeine intake, caffeine pills offer the advantage of knowing exactly how much caffeine you are getting. Furthermore, caffeine pills will help you avoid the yellow teeth that often plague heavy coffee drinkers. If you're only interested in getting caffeine into your system, caffeine pills are by far the more economical way to do this. A bottle of caffeine pills costs between $5 and $10, as of 2013. While caffeine is widely considered safe, it is still important to consume it in safe amounts, regardless of the source. Medline Plus notes that 250 milligrams is an average or moderate quantity of caffeine. The National Institutes of Health website also recommends that people with sleep disorders, acid reflux, stomach ulcers, high blood pressure, chronic headaches and irregular heartbeat avoid caffeine.